You’ll be sadly mistaken if you think of Frank Zane’s new book, Let’s Grow, as yet another addition to a library of bodybuilding books. Simply put, he knocks the ball out of the park with a hit that busts the standards and preconceptions of “bro science” and buzzwords that are taking bodybuilding hostage these days. It’s time to push the disposable and delusive advice of other sources to the side, and man up to the new standard established in Let’s Grow. Zane’s last book, Symmetry, was described by one reviewer as part training and then a bunch of philosophy. The trouble is, West Coast bodybuilding writers keep an exhausted notion of training on life support—essentially in a state of comatose. We are told that bodybuilding can be reduced to diet and training—not much more. 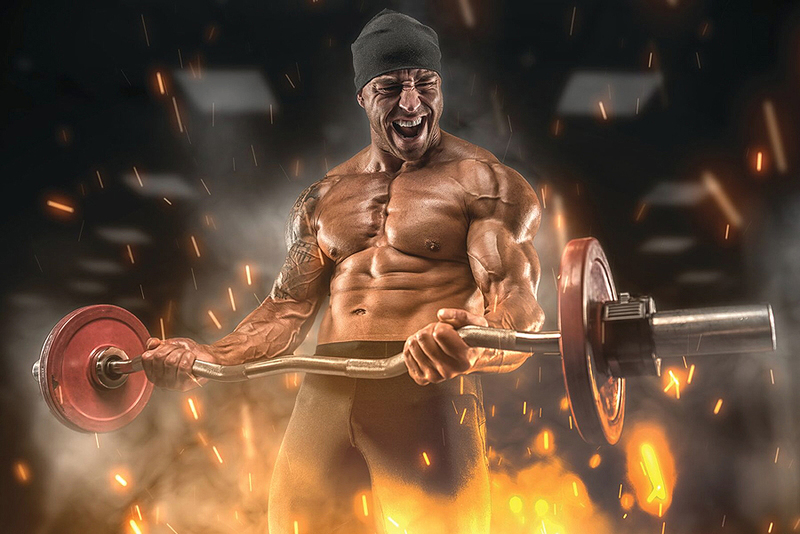 In fact, bodybuilding has so profoundly deviated from its classical origins in physical culture, with an integral emphasis on diet, training and mind, to have become an adjunct to biochemical allopathic medicine. In its golden era, the results achieved by the bodybuilding community were driven by a shared mind-set of hard work, trial and error and firsthand experience. At the forefront, Frank was able to capture the Sandow three times by standing out in a sea of muscle. What do those helium-filled words mean? They are down-and -dirty take-home points that make all the difference between success and failure in your physical-culture goals. Frank’s assessment is radical. He doesn’t reduce success to merely physical things like diet and training, Instead, he takes the role of a symphonic director, coordinating and orchestrating the various facets by integrating them into a solid, robust expression of body, diet, mind and emotions. It’s a whole-person strategy for living success. Think about it this way: A motor and gasoline alone don’t maneuver a car and its passengers to their destination. It’s the coordination of all the car’s parts, working as a system in conjunction with the driver. Shouldn’t you get to your destination—your goals—with a system that goes beyond diet and training? Let’s Grow is your map. Most of us read as much as we can so we can drill deep into the fullest expression of our training. Yet our available sources result in a confusing, fragmented outlook, one in which matching up dietary information, supplement information, training information and that loosey-goosey realm of the mind leaves us bewildered and lost. Enter Let’s Grow. Let’s grow in favor of let’s be perpetually lost, relying on a chaotic choir of fragmented speculation and disagreement. One practical question: Does all that chaos contribute one bit to reaching your goals? At the core of all of Frank’s materials is that he can teach you how to better assess yourself, understand what works for you and efficiently get there without needlessly experimenting with those other ideas, tips and theories. Let’s Grow is a quantum leap forward from the tried-and-not-true stuff that passes itself off as branded expertise. I can tell you this: No competent trial attorney would want any of those experts on the witness stand—honest cross examination would evaporate them. The right piece of gear can make the difference between a good workout and no workout.